At uno form, we stress the importance of professional customer advice. At your local uno form store you will be greeted by our interior designers, who supervise and coordinate layout, production, delivery and assembly. uno form’s interior designers can also act as your advisor on major construction projects. This is why we go to great lengths to train our staff so they always stay abreast of the latest trends in creative interior design and functionality. 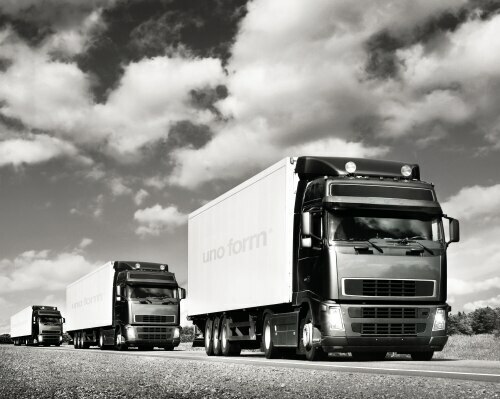 At uno form, we handle orders quickly and professionally, ensuring that logistics follow the rhythm of the building schedule. When the kitchen is delivered, a uno form driver carries everything into the house, checks to see that nothing is missing and that there is no visible damage. If a fault or defect is discovered, uno form's service system ensures that it is quickly rectified. Our special emergency service, for example, makes sure that parts needed for kitchen assembly are available a few days after a fault has been discovered. uno form is specialised in assembling and managing the overall kitchen project. All uno form’s assembly tasks are carried out by affiliated craftsmen who know all uno form products inside out. Naturally, uno form’s craftsmen are happy to work alongside local craftsmen.